Captain Atom is an old Carlton Comics character. He and the rest (such as Sarge Steel, the Peacemaker or the Question) were bought by DC, reinvented/modernised and introduced in the DC Universe in the wake of the Crisis on Infinite Earths . This profile is specifically about the version of Captain Atom that briefly appears in the landmark Kingdom Come series. Kingdom Come depicts a possible, but not terribly pleasant, possible future of the DC Universe. Nathaniel Atom is able to transform himself into a being of incredible power. His alien alloy coating is highly resistant to all forms of attack but especially to energy ones. His connection to something called the “Quantum Field” also allows him to project powerful blasts of raw atomic energy and fly at impressive speeds. Captain Atom has had a long and distinguished career in the DC Universe. During his jaunt through time with the futuristic dictator Monarch, Atom realized just how much he and Monarch had in common and how easily it could have been HIM under that mask. This realization forced him to do some serious thinking. 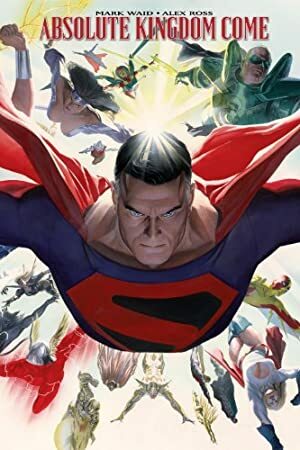 After the disbanding of the Justice League, Atom set out to fill the gap left by Superman’s disappearance with a new League. That was another in a series of usually disastrous Justice League projects. After being turned down by a number of first-string heroes, he contacted a number of old friends and allies. These included Blue Beetle, Nightshade II, Thunderbolt, the Question, Peacemaker). Captain Atom set up a press conference to announce the establishment of the new League with official government sponsorship. Unexpectedly, Magog and his lapdog Alloy were also present at the conference. There, the President announced that he was forming not a new Justice League, but a Justice Battalion which would fight his war on drugs and terrorism both at home and abroad. Magog was to be the leader of the team. Over the next few years Beetle and the Question left due to differences in leadership style. Furthermore, a series of lost arguments with Magog cowed Captain Atom into taking a very secondary role in the organization. During the mission to capture the Parasite (who had absorbed the combined physical strength of Magog and Atom), Captain Atom’s quantum shell was ruptured. The resulting release of atomic energy killed him along with nearly everyone in the state of Kansas. In the time of Kingdom Come, Captain Atom had adapted a metallic golden form with red bands representing old atomic diagrams. Once a proud and confident hero, in the last years of the Battalion he became prone to fits of depression and recklessness. He did not take what he considers his betrayal by the government in establishing the Battalion, and the only reason he stays is to keep Magog from becoming even more of a monster. His mood alternates between bitter cynicism and hopelessness. Captain Atom is truly a tragic figure. Energy Absorption is actually unlimited, but if Captain Atom chooses to absorb more than 12 APs of energy he is instantaneously transported forward in time a number of APs equal to the number of APs of energy he absorbed. Insta-Change, Scholar (1960s history and trivia), Security Clearance (Medium). Justice Battalion (High), Nightshade II (High), US Air Force (Low). Dark Secret (True Origin), MPI (manic-depressive), Secret Identity.